Sanwa Brewery is located in Shizuoka City, Shimizu Ku. 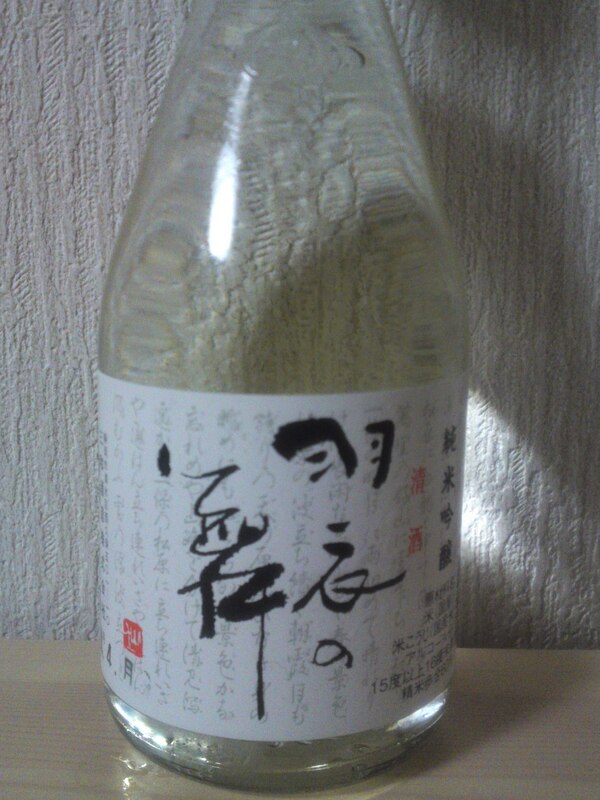 The name of this long seller sake, “Hagoromo no Mai” is directly related with a famous legend taking place in Miho, Shimizu Ku. 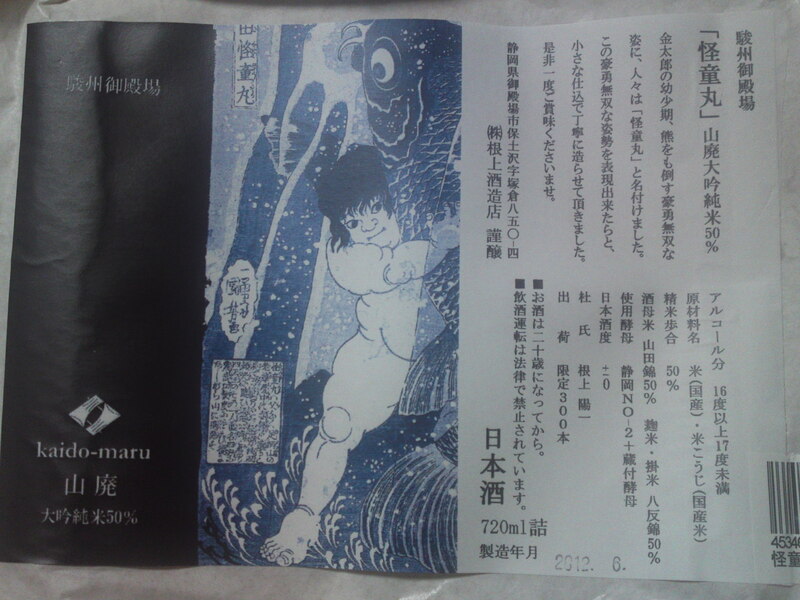 A goddess has to dance (“Mai/舞”) for a local fisherman to reclaim her veil (“hagoromo/羽衣) she had carelessly hung on a branch. The other day I discovered a nice range of Shizuoka sake sold in 180ml bottles along with some better than usual explanations and decided to start the whole line-up! Their cards actually gave more information than indicated on their bottle labels! 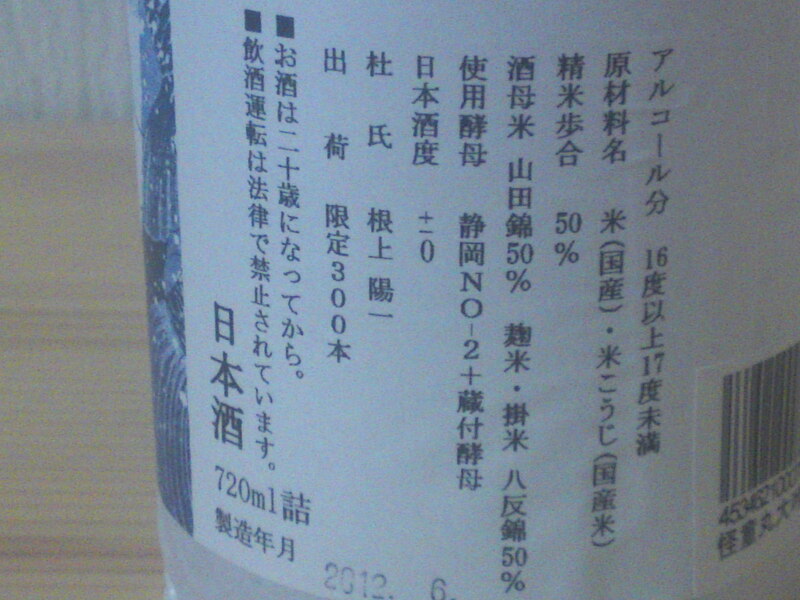 Taste: Very dry attack backed by alcohol and junmai petillant. Complex. Cherries, traces of coffee beans and almonds. Disappears on an even drier note with nuts and oranges peeking out. Takes a softer turn with food with more coffee beans, almonds and cashew nuts. Greens making a comeback away from food. Pleasant and easy to drink, especially with food. 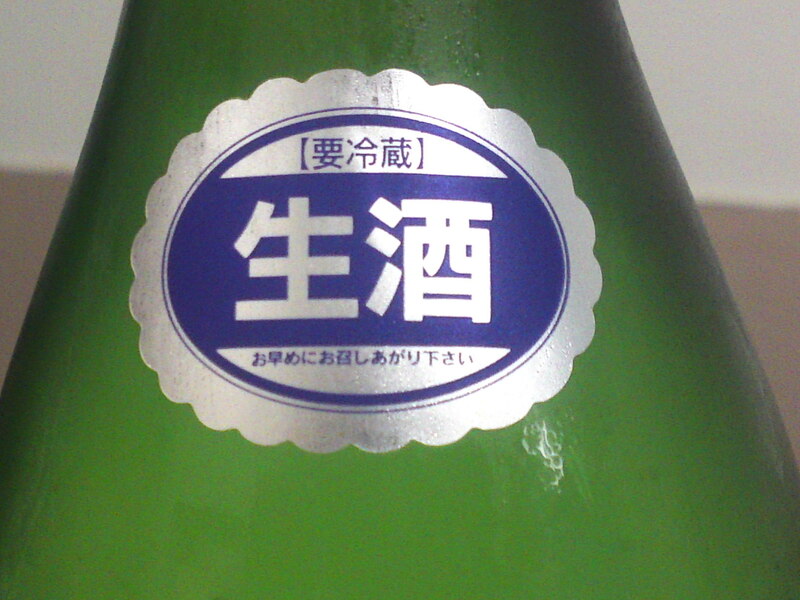 Overall: A sake obviously designed to accompany food. Definitely for dry sake lovers! Stays very dry with food. Ideal to accompany heavy foods and sauces as in izakayas. Haginishiki Breweries, one of the seven breweries located in Shizuoka City has produced nectars with water coming directly from the Southern Alps for quite some time as Shizuoka City stretches itself up to over 3,000 metres south of the famous mountain chain. 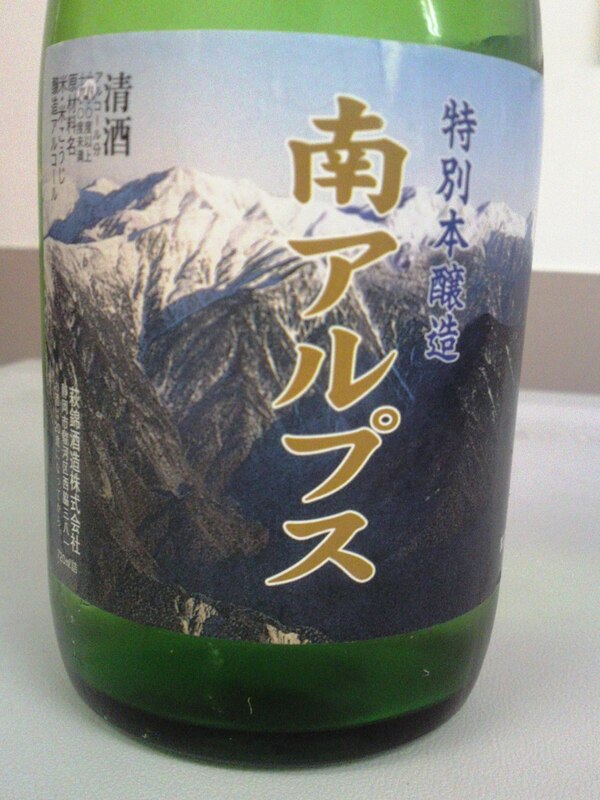 Actually more than half of the water used by breweries in Shizuoka Prefecture is directly related to the Southern Alps. 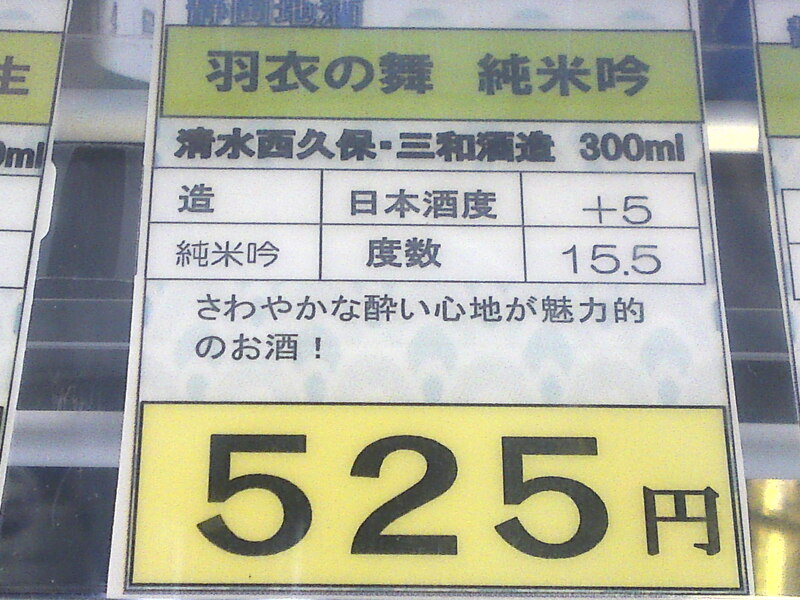 This particular limited brew is a nama/生 meaning it wasn’t pasteurized. 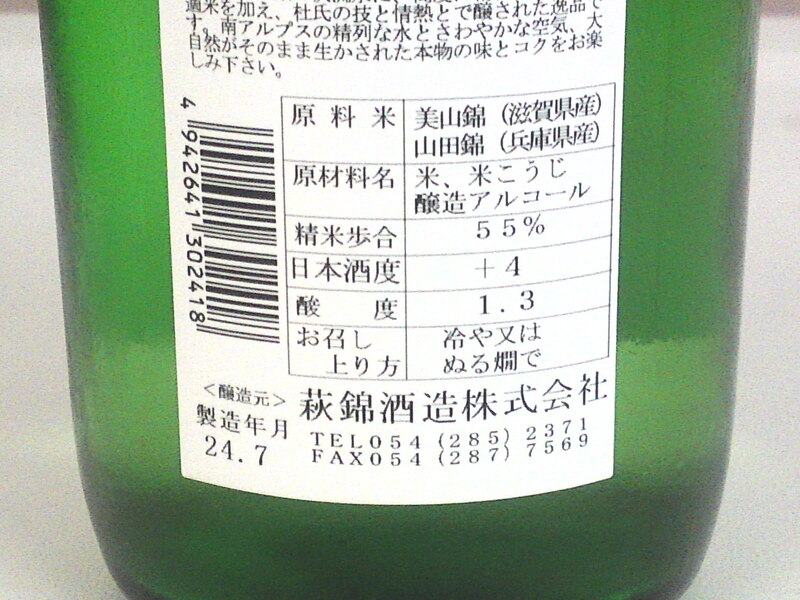 It is also a genshu/原酒 meaning that no pure water was added to dilute the alcohol, although pure sake alcohol was blended in as it is a Tokubetsu Honjyozo. Aroma: Dry, light and fruity. Vanilla, dark chocolate. Taste: Strong fruity attack backed by pleasant alcohol. Very easy to drink in spite of its high alcohol content. Marries well with food. Tends ro become just a little sweeter with vinegared food. Holds its own with any food. Otherwise will turn drier with greens making an appearance with melon. 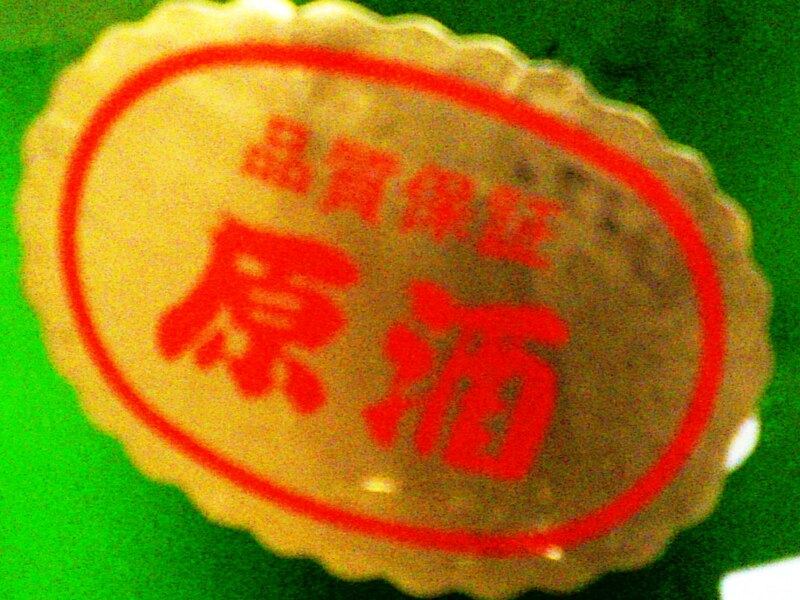 Overall: A sake obviously conceived to accompany food. Very pleasant to drink with food in spite of its high alcohol content. I actually appreciated it on its own. Can be drunk at any temperature although slightly chilled will bring about the best of it. A sake I would take to any party (with food)! Negami Brewery in Gotemba City lies in a privileged location at an altitude of 550 metres on the slopes of Mount Fuji in Gotemba City. This allows them to brew nectars during an unusual large portion of the year. This enables them to concoct limited brews far into the year for the greatest pleasure of sake lovers and colectors. 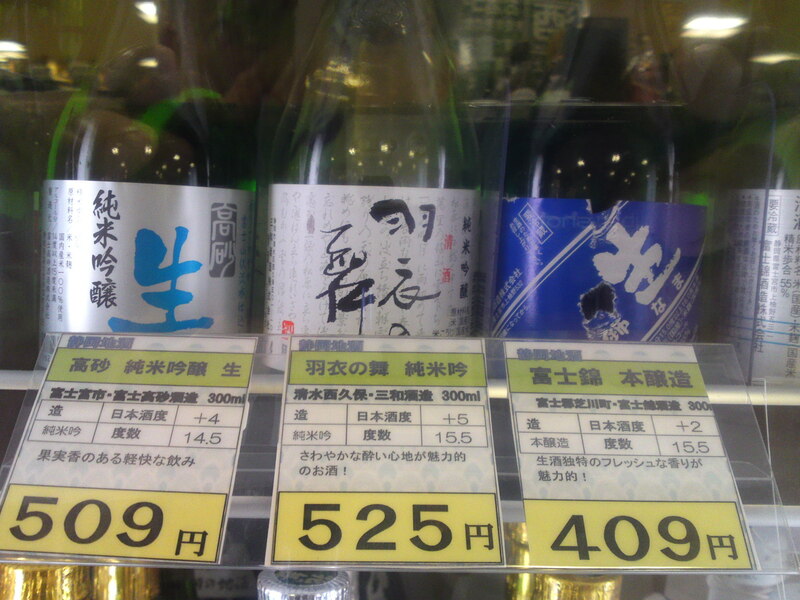 This Yamahai Daigin Junmai is very limited indeed: 300 bottles (720 ml) only! And the label is a real beauty reminiscing about a famous Japanese lore character! Anf the label has been intelligently wrapped around the bottle instead of being glued! Needless to say that I carefully unwrapped it for safekeeping! Aroma: Fruity backed by strong alcohol. Almonds, apricots. Taste: Strong fruity attack alternating from dry to sweet and vice versa before verging on the dry with a puissant alcohol and assertive junmai petillant. Complex. Vanilla, cofee beans, cherries, almonds, apricots. Takes on an even drier turn with food although spicy food will bring out a sweet reaction. Disappears quickly along with stronger dry almonds and coffee beans. Cherries making a comeback away from food. Dark chocolate taking a late ride accompanied by a fine and deep sweetness. Overall: A beauty definitely difficult to judge objectively. The fact it is a yamahai makes for even more indecisiveness. 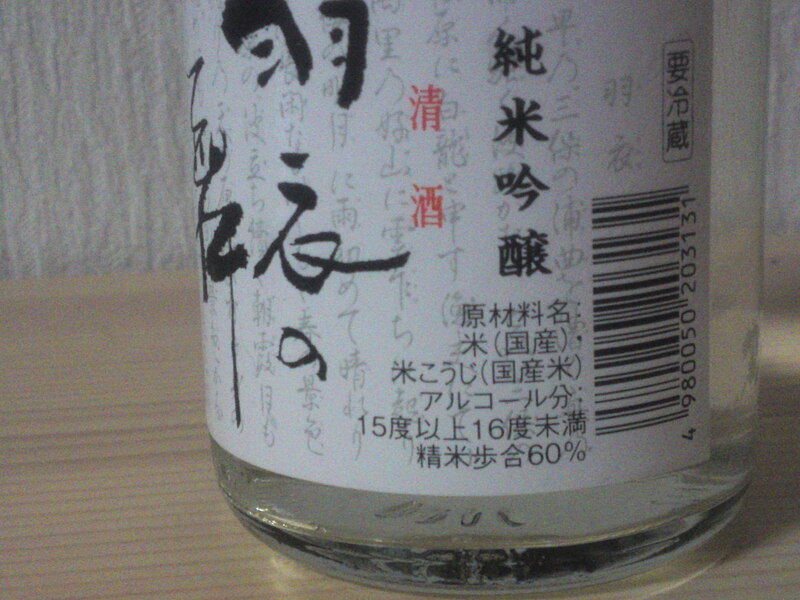 Very much a “mistery sake”. Would make blind tasters pull at their hair! In any case, a rare discovery! Pity I didn’t buy another bottle which I could have hidden in the refrigerator for a special occasion!